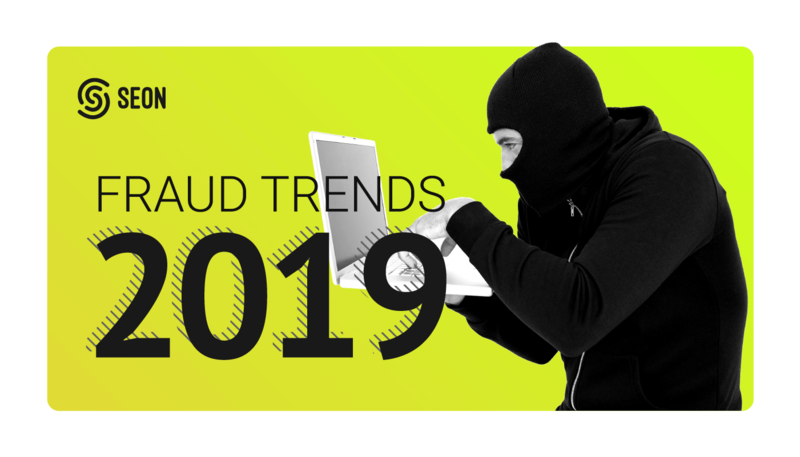 Sadly, 2018 was yet another difficult year for protecting online businesses against fraud. It cost the economy a whopping $4.2 Trillion, continuing an upward trend. As fraud prevention specialists, however, it’s our mission to curb that trend. And the first step is to identify and anticipate the latest techniques, methods and tools fraudsters will employ to exploit vulnerabilities in online fraud. Here are the 5 trends we’ll be keeping a close watch on in 2019. Government regulations will become more stringent to enforce digital footprint analysis. The European Union, which implemented the PSD2 directive in 2018, already requires stronger user authentication and identity checks for online payments. Similarly, major credit cards are implementing 3D Secure 2.0 to improve security at online checkouts. We believe more standards and regulations will soon follow in the coming years. Online wallets and cryptocurrencies continue to gain ground over traditional banking institutions. Half of all 18-38 year olds in the US now regularly use digital wallets such as Apple Pay, Venmo or Google Pay. The next generation of users want financial interactions to be fast and frictionless. They have little time for paper contracts and in-branch ID verification. This makes them more susceptible to attacks – which means digital verification tools have to catch up with fraudsters’ increasingly sophisticated spoofing methods. Neo-banks, whose presence continues to grows, will continue to apply for restricted licenses in countries with lax regulations. However, Implementing strong adaptive KYC practices from the start is a step in the right direction, regardless of industry. Different businesses will focus on different solutions: from selfie identification to integrating a complete fraud prevention such as SEON’s to futureproof their digital verification process. Unfortunately, we don’t foresee 2019 to be the year that ends data breaches. Hackers increase the sophistication and frequency of their attacks on large platforms, simply because demand for stolen accounts is still booming. This means a lot more account takeovers to worry about. Facebook: 87 million records breached. MyHeritage: 92 million records breached. Ticketfly: 27 million. The list goes on and on for 2018. And this is not just bad news for the companies who lost user trust, shares value, and credibility. It’s also bad news for anyone whose account was made public. So why are data breaches a problem? Stolen user data is typically sold as part of huge lists on the darknet. Buyers use those credentials to log into the platform before you get a chance to reset your password via account takeover attacks. They snoop around and exploit anything they can, attempting to extort money or additional information. Alternatively, fraudsters link the stolen credentials to other platforms in order to perform the same nefarious acts elsewhere, essentially infiltrating every facet of your life. Hacked accounts can be used to email you from a friendly address, increasing your exposure to phishing attacks. In other words: data breaches have a negative knock on effect on the entire digital landscape, not just the companies and users directly affected. For companies, safeguarding and protecting data is a must. Common sense and techniques apply: destroying unused data, penetration testing, security audits, blackbox and whitebox practices, and of course educating staff and collaborators about social engineering methods (when hackers phish for information by targeting individuals). The silver lining is that account takeovers are well understood and easy to flag. Our SEON platform, for instance, combines data analysis with machine learning and shows tremendous results when reducing account takeovers for all kinds of verticals, from online gambling to airlines. Having these kinds of policies and tools on a site gives a serious competitive advantage, helping users feel educated, in control, and that their accounts are more secure. It was good while it lasted. 2FA (2 Factor Authentication) and MFA (Multi Factor Authentication), the additional security layers that double check authentication through a physical device, will no longer be the safest way to authenticate users. Perhaps we will see the birth of a new standard, or the rise of platform-dependent methods for verifying IDs. In 2018, a growing number of white hat hackers managed to bypass the security measure. This fascinating article demonstrates how it can be done through social engineering (phishing, to be precise), but the website CSO online listed no less than 11 ways in which fraudsters could circumvent 2FA. Not despair, for one. 2FA and MFA are still efficient fraud prevention methods, but they can’t be thought of as silver bullets anymore. You’ll have to put more in place to ensure your users are who they say they are. SEON’s dynamic 2FA, for instance, is a great first step in that direction. First, you can expect users to be met with more verification checks before submitting product or business reviews. The platforms that host these reviews (online stores, affiliate marketing websites, tourism recommendations) will also need to be more thorough: preventing multi account abuse, and ID spoofing, amongst others. Last year, an Italian court sent a man to jail for selling fake TripAdvisor reviews. This sets a strong precedent against fake accounts and dishonest users. As we know, fake accounts are exploited by fraudsters in a wide range of uses, from Amazon to generating sales through fake Spotify artists and listeners. Individual users and companies will finally have to take responsibility for the words they publish online. From the platform side, we believe it’s easy enough to spot fake reviewers. Email addresses, proxy usage or devices used are all data points you can leverage to flag suspicious users (something our device fingerprinting tool does with great results). However, the demand for fake reviews also needs to be stopped at the source. With hundreds of sites promising to sell you fake reviews, it can be tempting for ecommerce owners to purchase a dishonest boost that potentially increases profits – so this might require a cultural shift (or government regulations). Another trend we cannot wait to delete from our yearly forecasts. Sadly, chargebacks still cost online shops $80 Billion annually, and we believe fraudsters will continue to employ every method available to exploit them. While ecommerce growth rates worldwide are on the decline, they are still positive (7.8% in 2018 vs 9.4% in 2017). A whole new generation of internet users and retailers are joining the online shopping experience, which opens the door to more scamming opportunities for fraudsters. There are inevitably communication and transparency issues between online businesses, payment gateways and financial institutions. Unfortunately, the pressure, liability and losses are still a burden for merchants, who often lack proper education on the topic. Increasing merchant awareness and proper prevention. Chargeback costs are particularly frustrating considering that 60-80% of them are caused by friendly fraud (cardholder requests an illegitimate or unwarranted chargeback–either as an intentional attempt to get something for free or an innocent misunderstanding) – which is easily circumvented with the right fraud analysis platform. This is something we believe SEON can slash, empowering businesses of any size to leverage the fraud prevention tool that instantly decreases chargeback rates without increasing false positives. Information, as always, is the first step towards prevention. Fraudsters never rest. They are quick on their feet, agile and increasingly adept at finding new ways to make your online life miserable. But that doesn’t mean we should give up the fight. At SEON, we are tirelessly developing new solutions to protect online merchants, store owners and ecommerce specialists. In fact, this year we’re excited to launch our innovative data enrichment plugin for Google Chrome, hopefully one step in the right direction to make fraud prevention easier, faster, and more affordable for everyone.